We are having a GO GREEN Challenge this week at Heart 2 Heart Challenges. With St. Patrick's Day right around the corner, it was the perfect time to make another shamrock card. I created a similar card last year which has surprisingly been one of the most viewed posts on my blog. You can view my original card here. My shamrock was created with hearts cut from the Art Philosophy cartridge. If you are interested in the cutting measurements, they are included in my original post. I added a pop of green to the inside of my card as well. Thanks so much for stopping by! 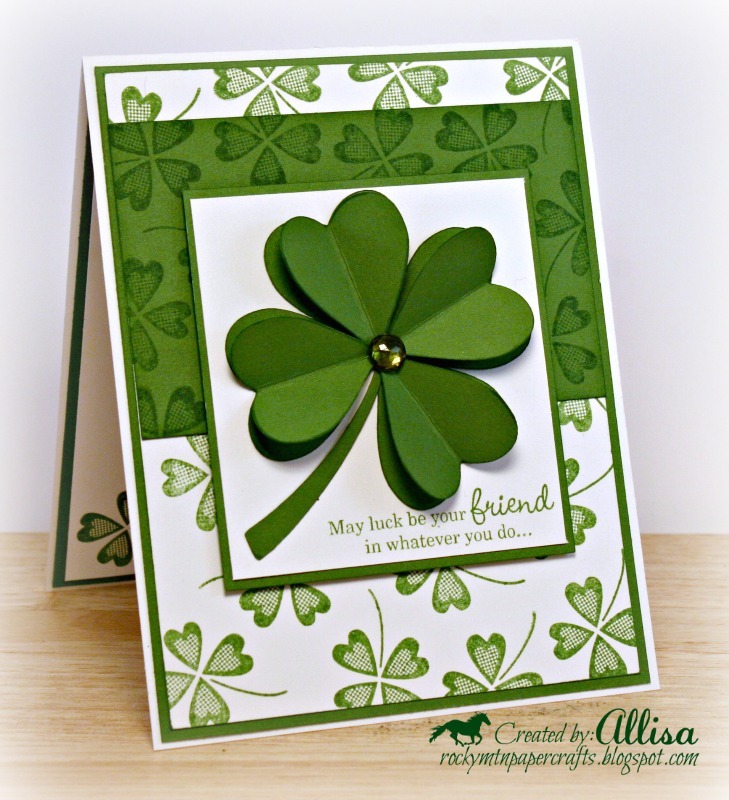 Hope to see your Green creation over at H2H! You have all month to link up! Be sure to include Close To My Heart products in your creation. Oh I really like how you created your clover with the green hearts. Beautiful background on this lovely holiday card. Thanks for playing along with us at DRS Designs! Oooo.. This is really cool. Such a great idea! I love the Shamrock.. Thanks for joining us at Glitter n Sparkle..
Beautiful inside and out! Love that saying too! Thanks for playing along with DRS Designs! Good Luck! Gorgeous card! Love all the 4-leaf clovers, especially the 3D one in the sentiment! Thank you for joining QKR's Challenge this week. 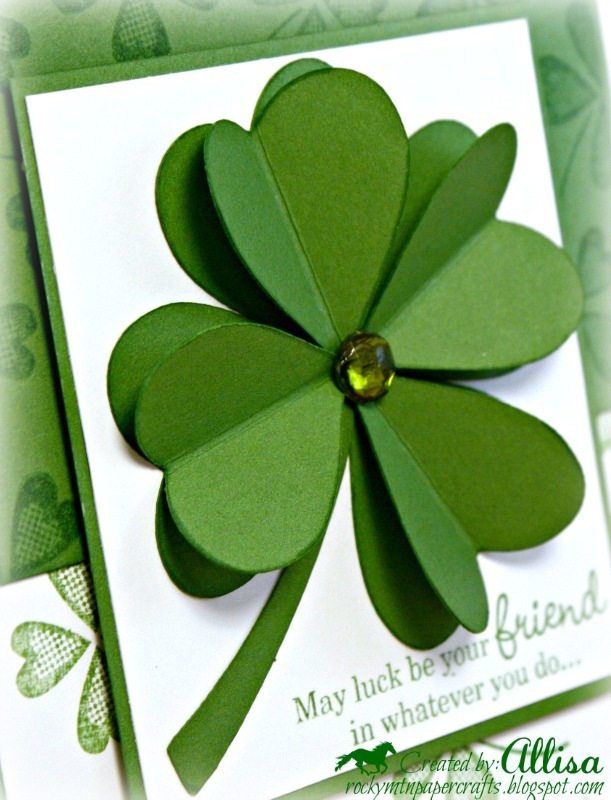 This is an awesome card-love the shamrock you created-thanks for sharing it with us at the Great Impressions Stamps March “green” challenge. April Stamp of the Month Blog Hop! H2H So Egg-cited for Easter!